BUTGEM started its training activities in 2009 in Bursa which is one of the most important industrial centers of our country. Aim; training demanded, self-confident, high-qualified technical employees with social responsibility who can work in co-operation, think independently, and representing Vocational and Career Development courses in accordance with the lifelong learning philosophy. Total closed area allocated by BUTGEM for Vocational Training is 12,000 m². * Training employees who can carry their companies one step further by force of the search of measurable efficiency values in all types of main principle enterprise behavior in the economy of the global world. In BUTGEM Training complex;there are both various classrooms for Vocational Trainings with high technology and latest release of software and practice workshops with all types of equipment. Vocational high school and university graduates who would like to develop their vocation or to get new technology trainings could attend the programs in our Training Center. Besides, young people that are at least high school graduate and without occupation can attend the program. 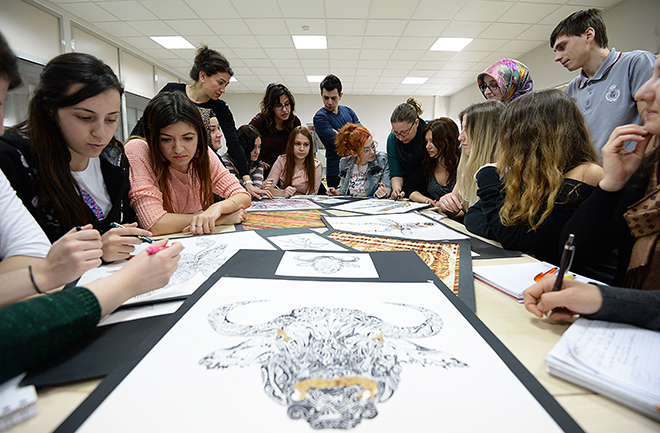 Our trainings are revised periodically according to the needs of the industry of Bursa and our certifications are issued by Ministry of National Education. 2500 course attendees on average complete the programs and attendees could be employed 80% just after the course.